When it comes to getting a medical second opinion, remote consultations can facilitate a more personalized healthcare experience focused on a patient’s individual needs. A study recently published in the journal Health Affairs reported that 42 percent of hospitals in the U.S. are equipped with devices that could make telemedicine and remote consultations even more viable through video chat or other electronic conferencing tools. Hospitals and physician offices are turning to telemedicine to support teleradiology and telemonitoring of patients, particularly those who are critically ill. In addition, through advanced and secure mobile and video conferencing, patients can effectively communicate with their doctors remotely. In the Health Affairs study mentioned above, researchers at the University of Michigan examined the reasons why healthcare administrators and medical specialists choose to invest in telemedicine technologies. In some cases, it is to expedite care. Teleradiology, for example, allows radiologists to analyze clinical images remotely for quicker turnaround. Other reasons focus on improving outcomes and access to care. Specialists and primary care doctors are using telemedicine to track the vital signs of patients with chronic conditions and assess some types of health conditions without patients having to make an office visit. For patients in critical need of a second opinion, virtual consultations can expedite access to top specialists. 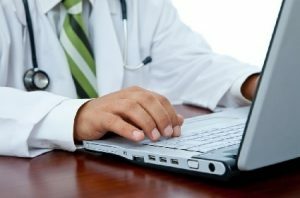 While this doesn’t take the place of in-person assessments and is not ideal for emergent medical conditions, a virtual consultation can help patients overcome geographic limitations and facilitate access to expert opinions from top specialists for confirmation of diagnoses and appropriate treatment options. The impact of this should not be understated. A study recently published in BMJ Quality and Safety highlighted the frequency of diagnostic errors in outpatient settings. Researchers from the University of Houston reviewed three previous studies about primary care visits and found that misdiagnoses were made about 5 percent of the time, impacting about 12 million U.S. adults annually. The team also made a population-based estimate, which indicated that 1 in 20 U.S. adults are affected by diagnostic error. Furthermore, Hardeep Singh, M.D., lead author of the study, noted that half of the 12 million errors made each year may lead to unnecessary complications, which could be potentially harmful. These findings underscore the impact that technology and changing demographics are having on the access to physicians and delivery of care. It is more important than ever to have a trusted health advisor and advocate who can help you and your family navigate the changing dynamics of our healthcare system.